While it seems odd to many people, the whole world isn't online -- though it may seem that way sometimes when you visit sites like Facebook. Not all countries have the infrastructure in place to support the deployment of broadband. Google is looking to help. The company claims that one billion residents of India are without a connection. To remedy this the company is going to the heart of transportation in the nation, the railway stations. "I’m very proud to announce that it’s the train stations of India that are going to help get millions of people online. In the past year, 100 million people in India started using the Internet for the first time. This means there are now more Internet users in India than in every country in the world aside from China. But what's really astounding is the fact that there are still nearly one billion people in India who aren’t online", says Google's Sundar Pichai. 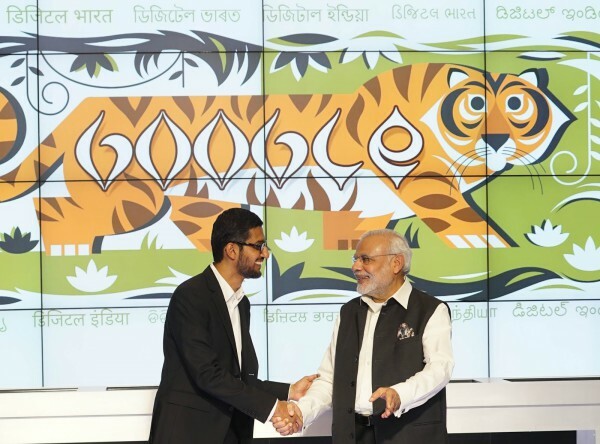 In conjunction with a visit from the Indian Prime Minister to Google headquarters, the company announces the introduction of high-speed broadband in 400 train stations. The search giant is working with a pair of major Indian railway services in order to roll this out. Plans are in place to have the first 100 stations online before the end of 2016. The others will follow quickly, according Pichai. "Even with just the first 100 stations online, this project will make Wi-Fi available for the more than 10 million people who pass through every day. This will rank it as the largest public Wi-Fi project in India, and among the largest in the world, by number of potential users", Google claims. This goes along with the launch of Android One and better support by Google for the Hindi language. The project should commence very soon.